Publication: May 6th 2014 by Atria Books. Rush has earned every bit of his bad-boy reputation. 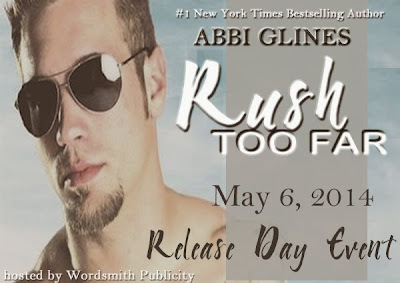 The three-story beach house, luxury car, and line of girls begging for time between his sheets are the envy of every guy in Rosemary Beach, and Rush handles it all with the laid-back cool of a rock star's son. All he needs are his best friend, Grant, and his sister, Nan. Until Blaire Wynn drives into town in her beat-up pickup truck with a pistol under her seat. The Alabama farm girl instantly captures Rush's attention once he discovers that the angelic beauty is his new stepsister, but he vows to keep his distance. Even if she needs his help. Even if he craves her. He has every reason in the world to stay away from her. Find out why he doesn't. opened it. I wasn't giving her a chance to run from me. honestly. She needed to know. She'd scared me. the night to notice much of anything." The distaste in her voice was obvious. days. I'll be moving out of your house and your life real soon." her. Closing my eyes, I muttered a curse and tried to calm myself down. like you. I expected someone so different, considering I've met your father. away from. Because I'm not right for you."